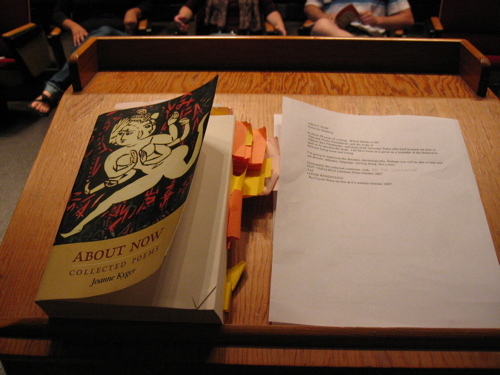 Here’s that set list we promised for Joanne Kyger’s reading in the NWS on 27 September 2007. The event report is here. The set list was patiently prepared by Katie Lattari (thanks, Katie!). Some titles approximate. Time values correlate to DVD duplicate.